Founded in 2006 by John Brady - John Brady served on the MCBA Board of Directors for ten approximately 10 years and was President of the Association from 2006 - 2008. 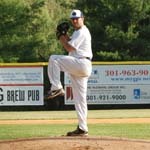 John also served on the Board of Directors of Gaithersburg Sports Association (GSA), was a coach for many of GSA's baseball teams and was the GSA web master. 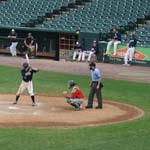 John was also very devoted to the baseball program at Gaithersburg High School where his two sons, Matt and Kevin, played over an eight year period. He was a founder, general manager and first head coach of the Gaithersburg Giants, a collegiate team playing in the Eddie Brookes Wooden Bat League which later became the Maryland Collegiate Baseball League (MCBL). John exemplified the meaning of competent leadership, fair play, good sportsmanship and dedication to youth and collegiate baseball. He freely gave of his time, talent and wisdom. John passed away in April 2009. The Giants honor John by pursuing excellence on and off the field. 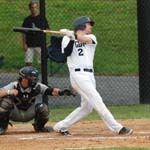 The Gaithersburg Giants played their first game in the Cal Ripken Collegiate Baseball League in 2013 and finished in third place with an overall record of 26 - 19.